Start in Beijing and end in Hong Kong! With the discovery tour Pandas & Warriors Family Holiday, you have a 15 day tour package taking you from Beijing to Hong Kong and through Beijing, China and 8 other destinations in China. Pandas & Warriors Family Holiday includes accommodation in a hotel as well as an expert guide, meals, transport and more. Day 2-3: Two full days sightseeing in and around Beijing, including the Temple of Heaven and the Forbidden City. 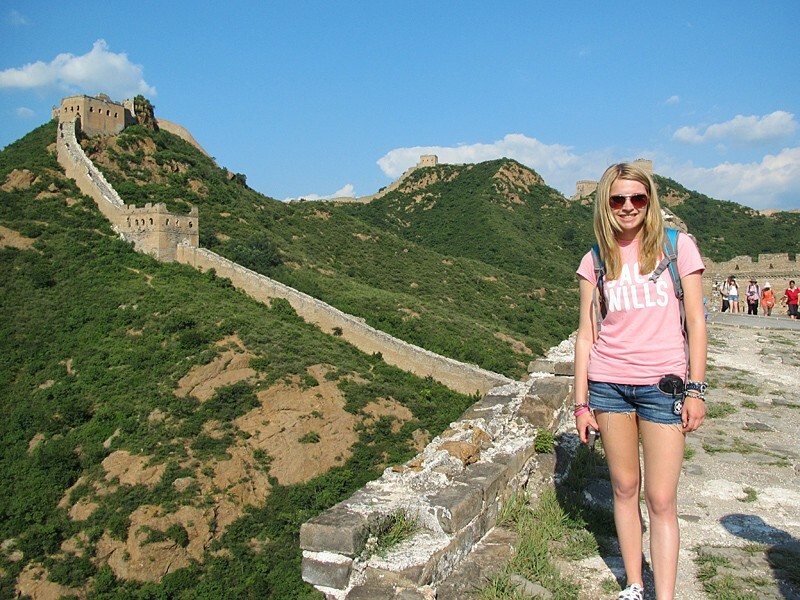 Day 4: Transfer to the Great Wall and walk along the top. Day 5: Morning walk on the Wall. Transfer to Beijing and visit the Summer Palace; sleeper train to Zhengzhou, near Luoyang. Day 6: Drive to Shaolin Temple, watch a Kung Fu demonstration and join a Kung Fu lesson; transfer to Luoyang. Day 7: Visit the Longmen Caves; afternoon train to Xi'an. Day 8: Visit the Terracotta Warriors; free afternoon. Day 10: Visit Giant Panda Research Centre. Day 11: Fly to Guilin and drive to Yangshuo; evening cooking class. Day 13: Transfer to Guilin, high speed train to Shenzen; cross border by bus to Hong Kong. Day 14: Morning orientation tour of Hong Kong including Victoria Peak; free afternoon. Day 15: End Hong Kong. Your prices do not include flights to Beijing, right? Our tour from North America is on land only. You need to make your way to and from China. Will there be vegetarian options for the meals? All dietary needs will be noted on file and your tour leader made aware. You decide what you want to eat. TourRadar only requires a deposit of $99 to confirm this Exodus Travels booking. The remaining balance is then payable 60 days prior to the departure date. For any tour departing before 25 June 2019 the full payment of $2,945 is necessary. No additional cancellation fees! You can cancel the tour up to 60 days prior to the departure date and you will not need to pay the full amount of $2945 for Pandas & Warriors Family Holiday, but the deposit of $99 is non-refundable. Covering a total distance of approx 3,236 km.